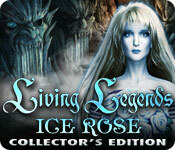 Living Legends: Ice Rose Collector's Edition is rated 4.2 out of 5 by 131. Rated 5 out of 5 by JulzCat from What A Gorgeous Game! This is one I've came back to play a few times because it's SO BEAUTIFUL! The lovely graphics and music, interesting story line, and fun mini-games definitely makes this one worth playing. FYI, in the CE version, there is a whole other chapter, quite lengthy, that makes the purchase worth it. Rated 5 out of 5 by coolang1989 from AWESOME:) ALL I HAVE TO SAY IS WOW! THIS GAME IS ONE OF THE BEST GAMES I HAVE PLAYED THUS FAR. VERY INTERESTING STORY LINE, GREAT GRAPHICS, AND MUSIC IS VERY CALMING. HELP EDWARD THE NOVELIST FIND OUT WHAT REALLY HAPPENED BY INVESTIGATING ROSEMOUNT BY COLLECTING EVIDENCE. SAVE YOU BELOVED FROM THE ICE QUEEN! Rated 5 out of 5 by Stitchingmom1 from Wow!! I thoroughly enjoyed this game. Beautiful scenery and good storyline. It only took me ten minutes of my trial to decide to buy. The only criticism I have is that sometimes items didn't "stick" when I clicked on them to use them, and I had to click several times in order to move them. Rated 5 out of 5 by abelss from Excellent Excellent game. The game is full of interesting scenes, puzzles, and HOS. The HOS were easy for the most part. The puzzles start out easy, but do get a little more challenging as you advance in the game. I admit did have to skip a couple. The Graphics were chilling and excellent. The storyline was pretty interesting. I do have two complaints though: NO map and NO actual speaking. The characters do not talk, instead you have to read the dialogue to know what they are saying. The map would have been very useful because there is a lot of areas you have to back track to which does making the game a little tedious. Other than that, I really enjoyed the game. The bonus play was also very good. It was actually longer than many other games that have bonus play. Rated 5 out of 5 by mikado1 from A great and beautiful game! Gorgeous graphics, very good and calm sound! Loved it! Waiting for the next game that will be coming soon. The same class as Elephant and ERS games! Rated 5 out of 5 by Delorean01 from Totally captivating... This game was way above my expectations and thoroughly enjoyed it. 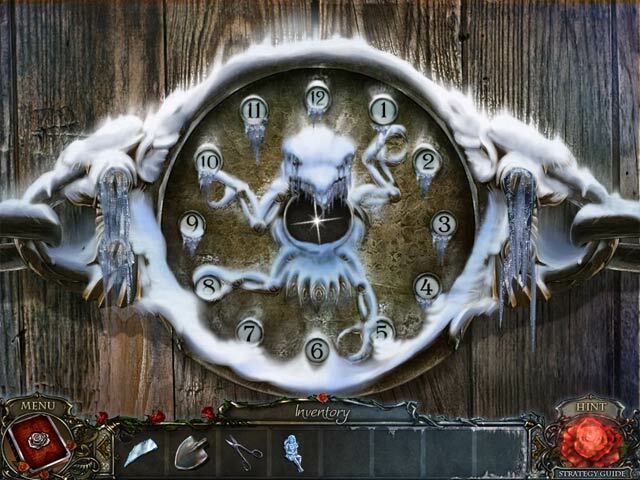 The graphics, puzzles and the never-ending traipse around a snow-covered landscape....heaps of back-tracking and not sure how many times I went up and down that elevator but I love that in a game :) The music was appropriate and unobtrusive, with the puzzles a really good mixture of easy, just right and downright impossible! The best surprise was the length of the game - it went on for hours and the bonus play finished the story off nicely. Good to see a sequel isn't far away! Congratulations to the developers for once again giving we gamers the opportunity to just escape and enjoy - well done! 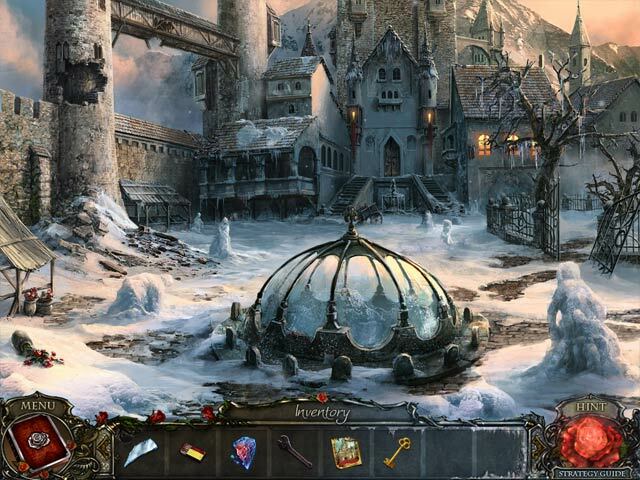 Rated 5 out of 5 by Kai33 from Living Legends: Ice Rose Collectors Edition I got this on a disc and I can say it is very challenging and quite hard. I've play most of the Mystery Case Files and love those, so thought I'd try a different one. It took me about four evenings to complete it. I had to turn the music off because it was a bit repetitive. Rated 5 out of 5 by willowwind from Love this Game I liked it because it has a great Storyline. It kept my playing and not wanting to stop. Looking forward to the next one in this series. Recommend to everyone as it has several levels to play from timed to casual. Also has novice to expert. Rated 5 out of 5 by catbag8717 from Need to buy! I absolutely loved this game. Ran down the demo just like that and knew that I had to buy. Good Parts: What stood out about this game was the stunning graphics. They are so well done and very detailed. It's almost like it's real life. Brlliant into, leading in to a brilliant storyline. The storyline progressed as the game went on, so I have to buy to see the end! 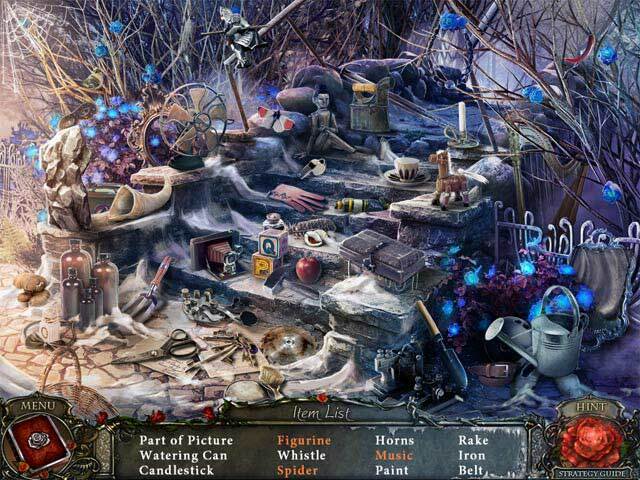 The Hidden Object Scenes were plentiful, with Interactive Hidden Objects making them even better. The built in strategy guide was very helpful. OK Parts: Once again, as I say with all HO games, the puzzles. Some were great and very easy, others were just terrible. Bad Parts: The only bad thing I would say about this game is tha hint and skip recharge took way too long, so I had to rely a ;lot on the strategy guide. Overall, I doubt that there could be a game better than this. I loved everything about it, and I'm VERY hard to please, so I know you will too!